BeldarBlog: Fifth SwiftVets ad: "Dazed and Confused"
Fifth SwiftVets ad: "Dazed and Confused"
The fifth SwiftVets ad, "Dazed and Confused," again focuses on John Kerry's/someone's discarded medals/ribbons — but this time with the emphasis on Sen. Kerry's flip-flops on the subject of what he actually threw away, juxtaposing TV images of him in 2004 and 1972. "We threw away the symbols of what our country gave us ... and I'm proud of that." That's from 2004, friends and neighbors. 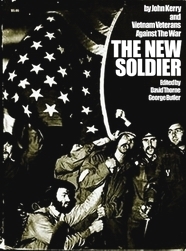 Sen. Kerry, are you also proud of the upside-down American flag, mocking the Marine flag-raising atop Iwo Jima, that was on the cover of your 1971 book, The New Soldier? If so, why have you surpressed the reprinting of that book with that cover? Why doesn't Amazon.com have a cover image for your book on its website? What symbol of your country would you not have been proud to mock or throw away in 1971-1972, sir? And now? The histories that will be written of the 2004 campaign, if it ends up the way it's headed now, will all agree that John Kerry's bid for the presidency was sunk by ... John Kerry. ... who, through records obtained in the year 2027, was determined to be a Karl Rove operative. I continually an amazed at the "us-vs-them" attitude expressed in the MSM and blogs; leaving no room for the possibility of other outside third interests. I find this phenomenon dangerous as it open the American electoral process to (intelligent) outside instigators who could pose as any side at any time to whip up this bipolar electorate. The Swift Vets offer an excellent example of a benign third interest. What is becoming increasingly clear is that the Dem oppos work hand-in-hand with their MSM brethren, info freely flowing bothways. For decades the MSM has force-fed us their slant, but never admitting that it's out-and-out bias. We've gotten a few admissions that their "perspective" (bias) is urban or cultural and in one rare case a preference for a candidate (Evan Thomas). "Mr. Kerry's problems have apparently been deepened by the relentless attacks on his Vietnam War record by a group of Vietnam veterans supported by backers of Mr. Bush. " What's interesting about the Swiftees is that, according to the MSM, the fact that Bush supporters give them money means that they are an arm of BC04. That argument doesn't make a lot of sense, but the MSM keeps peddling it. Beldar, what do you think about the moves by CBS, NBC, etc. to stop campaigns and 527's from using video/audio clips from the broadcast networks. Certainly they own the clips. Does fair use doctrine control? Ethically, does stopping the public from seeing the most effective contrasts of a candidate's views seem like the best way to serve the public interest, as broadcast networks must? My answer is no. Beldar, I suggest checking out a book called "An Accidental Soldier", a graphic portrayal of a Mestizo who enlisted to fight in Vietnam. Written by Manny Garcia, now a criminal defense attorney in Salt Lake City, UT, the book details graphic atrocities committed by soldiers on both sides of the Vietnam conflict. It is one of the best books I've read in a long time. Garcia's prose evokes visceral images and generally recreates the emotions which came with fighting in Vietnam. In the final chapters of the book, Garcia approaches the White House and throws his numerous medals over and onto the lawn of the government which asked him to kill. It is deplorable of you (and the Swift Boat Vets) to question John Kerry's patriotism. Between Bush and Kerry, only one has seen active combat. Yes, "The Swift Vets offer an excellent example of a benign third interest." The Swift Vets "beef" is with John Kerry, not the Democratic Party. These Vets are from both major parties and some independents. Anyone who thinks the Swift Vets have a "beef" with the Democratic Party are in fact showing their complicity with my theory of bipolarism. Juxtaposition an al Qaeda split group into the equation; they could make a huge mess of the electoral process with little effort or money, playing on the same feelings that Democrats have for the Swift Vets, but doing it to both parties. This would not be benign. Boyd, do you think Kerry's expression of pride over the disposal of his ribbons is unpatriotic? If not, why do you infer an attack on Kerry's patriotism? And if so, what makes such an attack "deplorable"? What makes the medals incident so important is that it gives insight into the soul of Kerry. If he was a man of character who believed the medals were worthless, why did he throw an0other man's medals and not his own? He displays these medals in his Senate office today. Would you buy a used car from this man? Birkel, I'm no copyright specialist by any means, but what John Kerry says on a news show itself may become news. If I understand the "fair use" doctrine at all, I'd think it's got to cover what the SwiftVets are doing. Boyd, thanks for your civil comment and the book tip  I've heard of that book before and may get to it eventually. I don't question Sen. Kerry's patriotism, and defy you to point to anything I've ever written on this blog or elsewhere which says that. I've stated repeatedly that I honor his service in uniform  perhaps more than he himself does, it might seem from his comments about our forces in Vietnam. I don't deny that he served his country and exhibited bravery of the sort that his rank and position called for, at least most of the time. I take on faith that even when he met with representatives of this country's enemies during wartime and returned home to endorse their position and repeat their propaganda, he thought that what he was doing was in America's best interests. I also think, however, that he's a serial exaggerator, and that his own view of how to promote America's best interests are now, and have been since even before his military service, profoundly foolish. Not everyone who's "patriotic" is fit to be Commander in Chief, and I agree with the SwiftVets that Kerry's unfit for that office. Meehan said in a statement, "Senator Kerry had no role whatsoever in the Paris peace talks or negotiations. He did not engage in any negotiations and did not attend any session of the talks. Prior to his Senate testimony, he went to Paris on a private trip, where he had one brief meeting with Madame Binh and others. In Tour of Duty, Brinkley exposes that "Balony". More Kerry Lies. His campaign says one thing and Tour of Duty author Brinkley says another. What's more, is that the medals vs ribbons statement is a distinction without a difference. The ribbons are indeed symbols of the medals, but the medals themselves are only symbols themselves. Bits of ribbon and metal have no intrinsic value of their own, their value lies solely in what they stand for. It makes no difference which Kerry threw, one was as good as another, in either case he was casting his country's thanks back in her face. 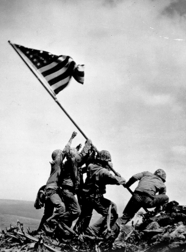 He was repudiating what they stood for and should no longer be allowed to claim them. Although that will never fly in the MSM, it does with millions of veterans.